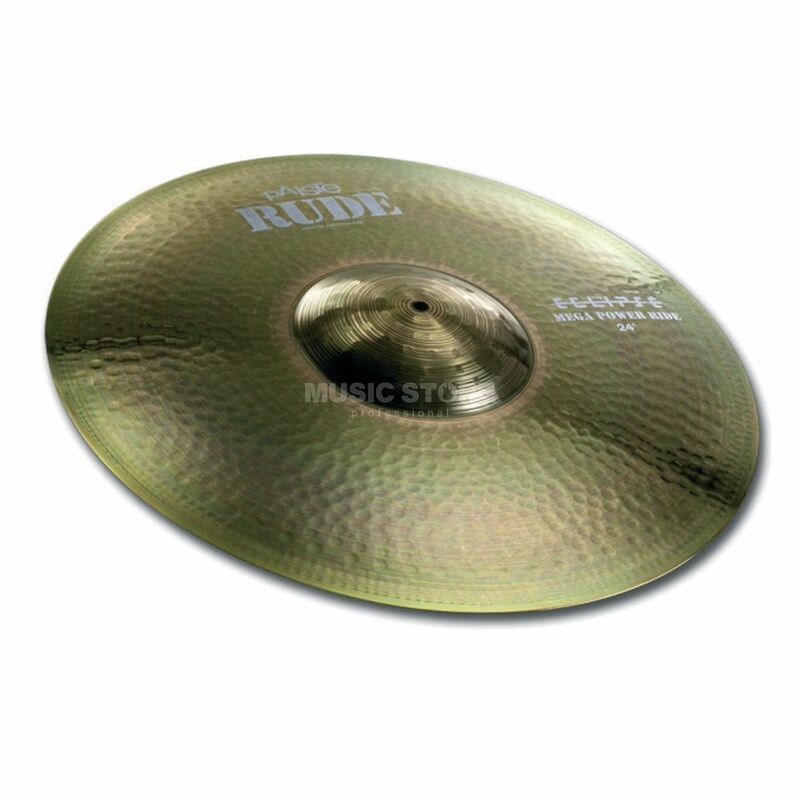 Paiste Rude Mega Power Ride 24"
Rude Mega Power Ride 24"
RUDE. The original Punk and Metal Sound. Sound Character: Bright, full, warm, deep, somewhat dry, powerful. Wide range, clean mix. Heavy response, very balanced feel. Clear, cutting stick sound over big, full wash. Extremely loud, cutting ride with an enormous, big, loud and deep sounding bell.